Pyeloplasty is a surgical procedure to remove a blockage in the ureter (the tube that carries urine from the kidney to the bladder) due to a narrowing of the tube where it attaches to the kidney. 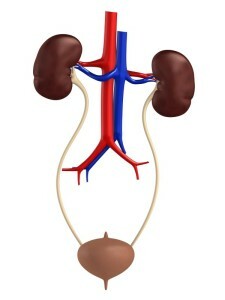 After the blockage is removed, the ureter is reconnected to the kidney and a stent is placed to allow healing and drainage of urine from the kidney. While UPJ obstruction is a relatively common problem seen in children, it can also develop in adults. In most cases, patients are born with the predisposition to UPJ obstruction. However, it can also develop over time due to trauma, body growth, scar tissue, ureteral kinks or valves or a crossing blood vessel. The traditional treatment for UPJ obstruction was open pyeloplasty. In recent years, however, laparoscopic pyeloplasty has developed as an attractive alternative. In laparoscopic pyeloplasty, the doctor uses special tools and small incisions.